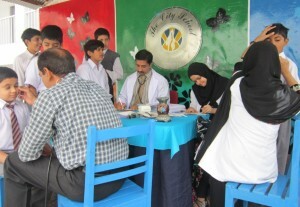 Dr. Sabeel with his team is again conducting a Free Medical Camp at his clinic on 25th October, 2015. At this occasion free checkup will be done to all patients. Also free medicines will be given to all patients who will visit clinic on 25th October, 2015 (Sunday). Who Can Visit Free Medical Camp? Patients suffering from any disease can come and seek free treatment. Especially the patients of chronic diseases are welcome. Important: If you are already taking treatment from any other doctor then please bring also your medical reports.